Home » Lifestyle » Health/Fitness » Cheese is the reason we have nightmares ? A study is being conducted to get to the bottom of this mystery. Does cheese really the cause for nightmares ? In A Christmas Carol, Ebenezer Scrooge blamed cheese for causing his ghostly night-time encounters. A few years ago there were reports that different types of British cheese gave people different kinds of good and bad dreams, though none of the study volunteers reported having nightmares as such. Stilton-eaters had bizarre dreams, fans of Red Leicester dreamt about the past, and those who ate Lancashire before bed dreamt about the future. If you want to dream about celebrities, apparently you should make Cheddar your bedtime snack. 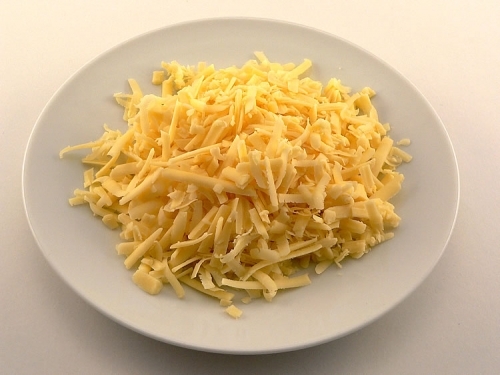 In some countries the last course eaten in a big meal is cheese, which might suggest that cheese leads to nightmares, but it could of course be the quantity of food, rather than cheese in particular which led to indigestion. It is worth noting that as well as blaming the crumb of cheese for his apparitions, Scrooge also blames “an undigested bit of beef, “a blot of mustard”, or possibly “a fragment of an underdone potato”. The idea that cheese has strange effects on the mind could come from a very real, but rare phenomenon known as the “cheese reaction”. There is a class of older antidepressants called monoamine oxidase B inhibitors, which reduce the breakdown of chemicals such as serotonin. These drugs can be effective in treating depression, but they have an unusual and very serious side effect. They prevent the breakdown of the substance tyramine, which occurs naturally in cheese. If tyramine builds up it can cause blood pressure to rise to levels high enough to increase the risk of heart problems or stroke. The cheese reaction can prove fatal, so although this antidepressant is used less commonly now, people taking it are given strict warnings to avoid cheese and other foods, including cured or pickled products. The problem is that the amount of tyramine contained in foods is highly variable; when patients experiment they might find they are fine on one occasion, but have a serious reaction the next. So, incomplete as the evidence is, there is no solid proof that eating cheese at night causes nightmares. What we can say with more certainty is that if you eat immediately before going to bed, or have over-eaten, then indigestion might give you a restless night. But it could be the case that a little cheese might even help you sleep more soundly. Similac Recall- Baby formula recalled!